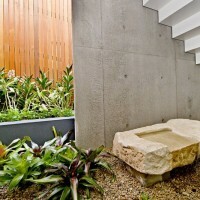 Rolf Ockert has designed the Bronte House, located in Sydney, Australia. 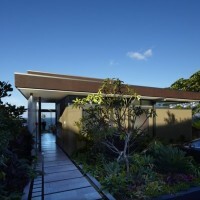 The client approached us to create house of their dreams on a site perched high over the Pacific Ocean, a home that was to make them feel like being on holiday every day. While the view was fantastic the site was very small and suffocated by overbearing neighbouring dwellings. 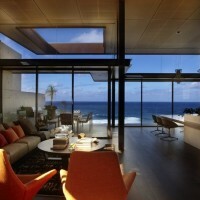 The finished house, though, feels generous and as if it is alone with the ocean and the sky. Firstly the surprising height of the living room space that takes advantage of the only extravagant spatial dimension available to us. And secondly the pursuit of sightlines to water and sky wherever possible. 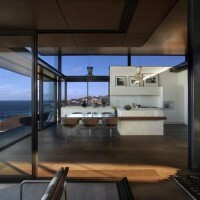 High side walls, for privacy but also to provide mass for a comfortable indoor climate, have continuous highlight windows for the enjoyment of 360° views of the sky. 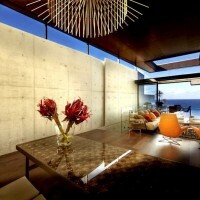 The large face concrete wall dominating the space has slim slot windows, allowing teasing glimpses of the ocean when entering the house while effectively cutting out the visual presence of the neighbour. 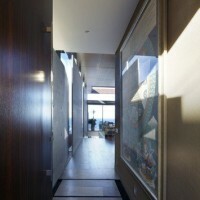 The house opens itself up completely to the East, the presentation of the stunning water views. 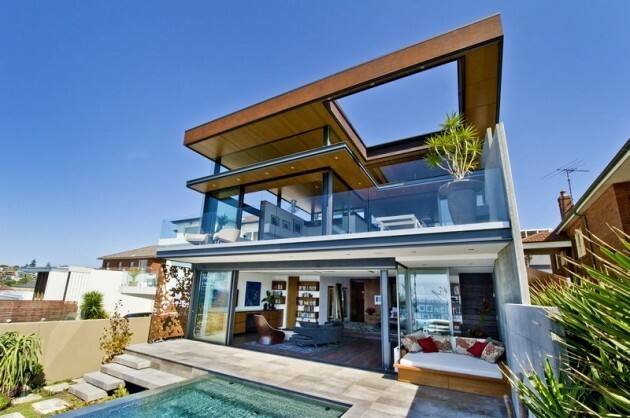 This also allows the capture of the constant ocean breezes to cool down the house throughout the year, easily regulated by a plethora of ventilation options from sliding doors to operable louvres. A rich but reduced palette of strong, earthy materials, from the above mentioned concrete to Timber flooring and ceilings, rust metal finishes and thick, textured renders, contrasts with the fine detailing of the interior and anchors the residence against the airy, light aspect created by the opening to the views. 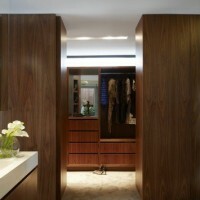 Sophisticated simplicity would be the most appropriate motto for the design of this house. Being on a very small block the client’s expectations of the generosity and design standard to be achieved required a very stringent approach. 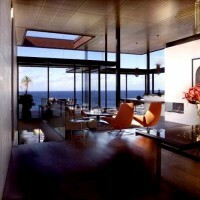 While the focus is naturally on the maximisation of the enjoyment of the majestic ocean views it was the suburban context that drove most of the major design decisions: The slotted northern concrete wall, the solid southern facade, the high roof with its continuous strip of highlight windows and louvres.